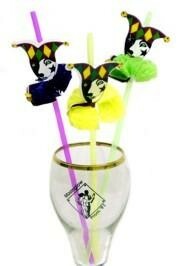 Liven up your drinks with decorative straws! 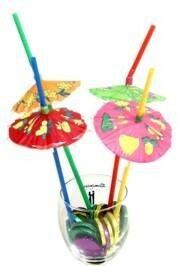 Umbrella picks and straws are fun for everyone. They can be used to distinguish the drinks of your party guests; and many people keep them as souvenirs to remember the party by. 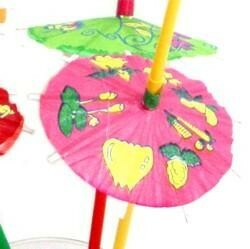 A party parasol/ umbrella pick in assorted colors. There is no color or style choice. 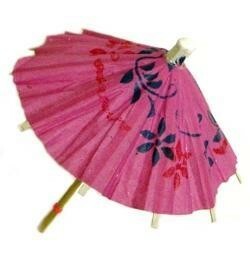 These are great for parties and parades. 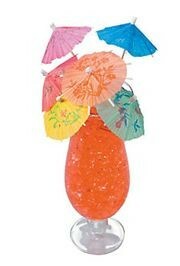 A bag of parasol/ umbrella straws in assorted colors. There is no color or style choice. These are great for parties and parades.